I told you my queue was growing... ;-) Catching up on my photos of work completed. 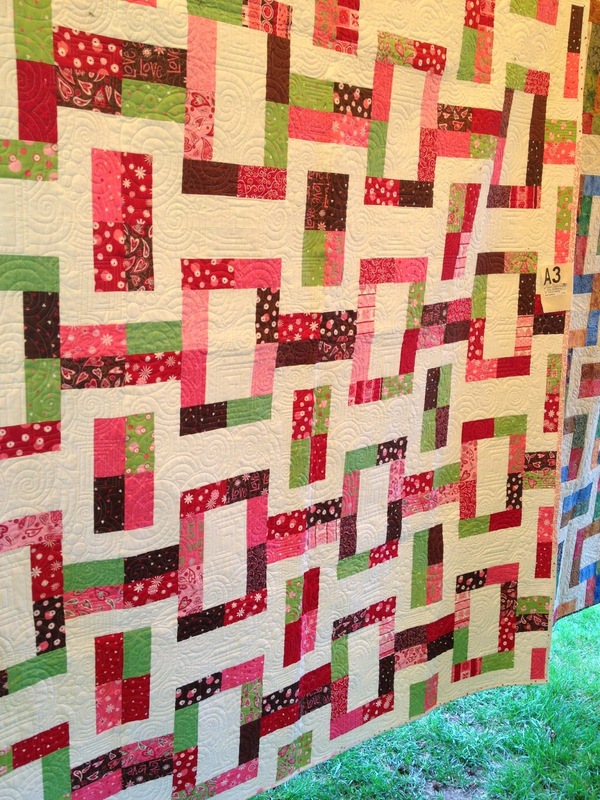 I like to share the eye candy with you so you can be inspired by fabric combinations, patterns and quilting designs! This was a gorgeous batik, meticulously pieced....I used the Diamonds are Forever panto. 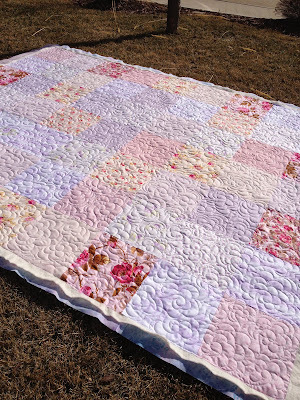 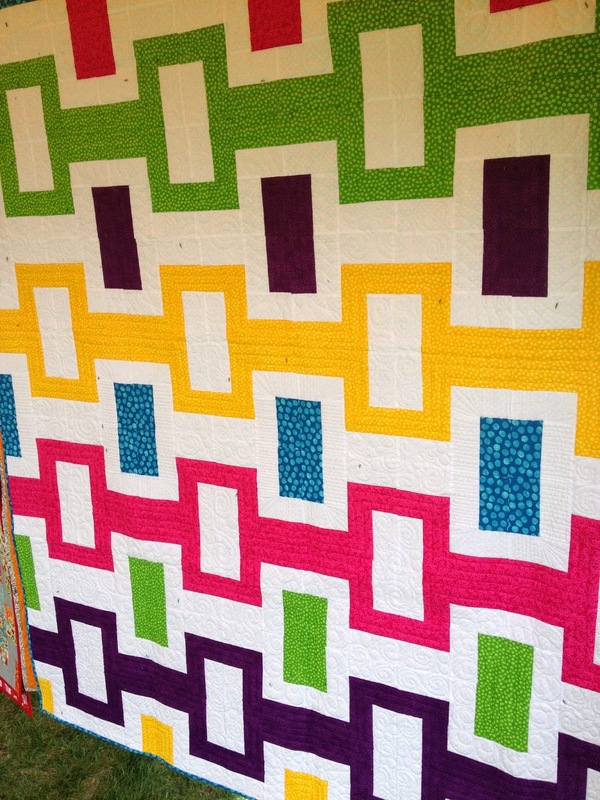 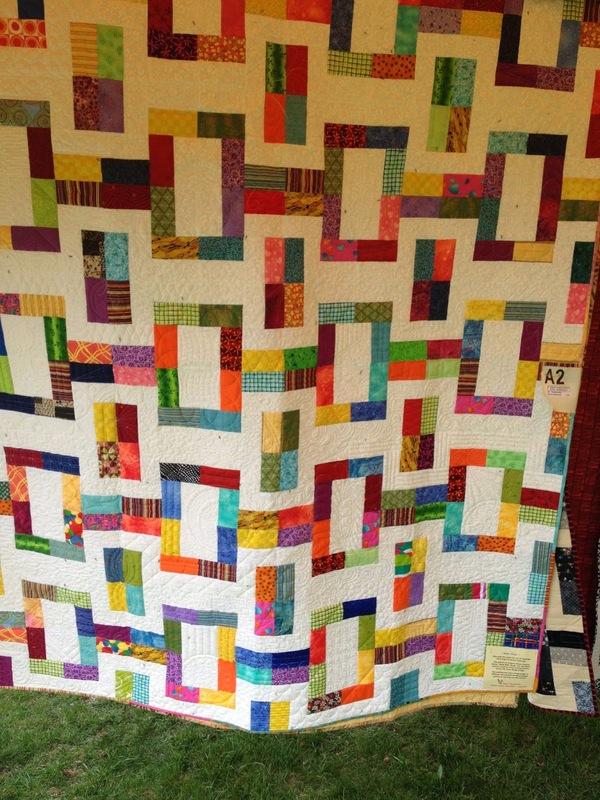 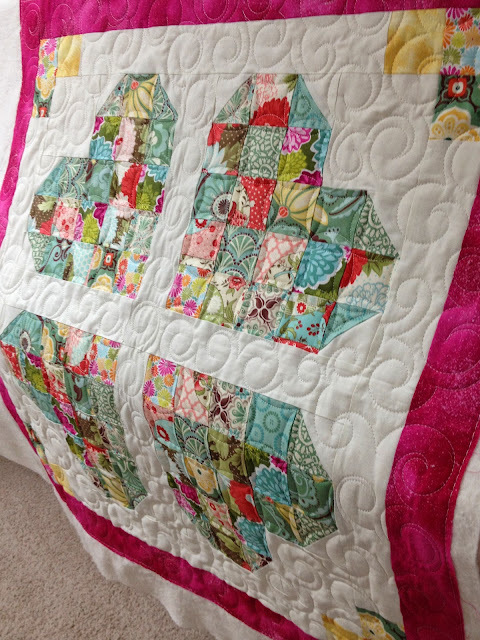 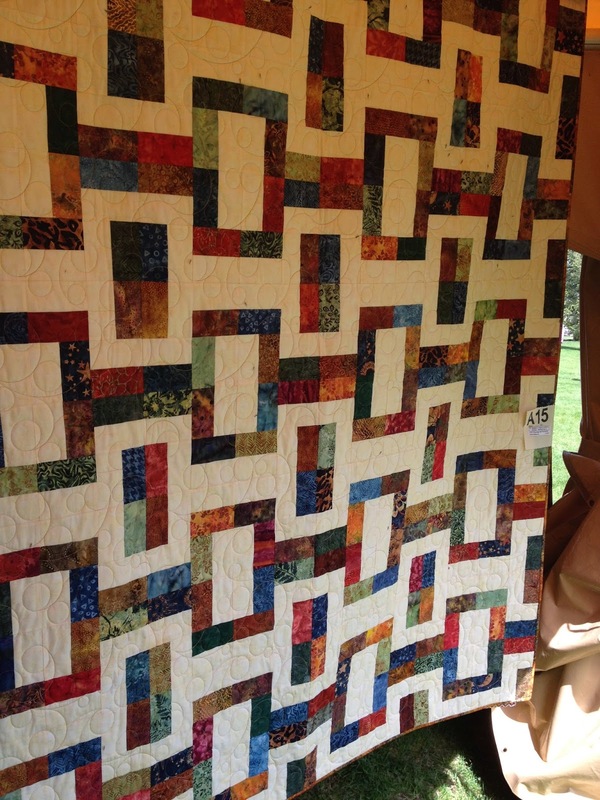 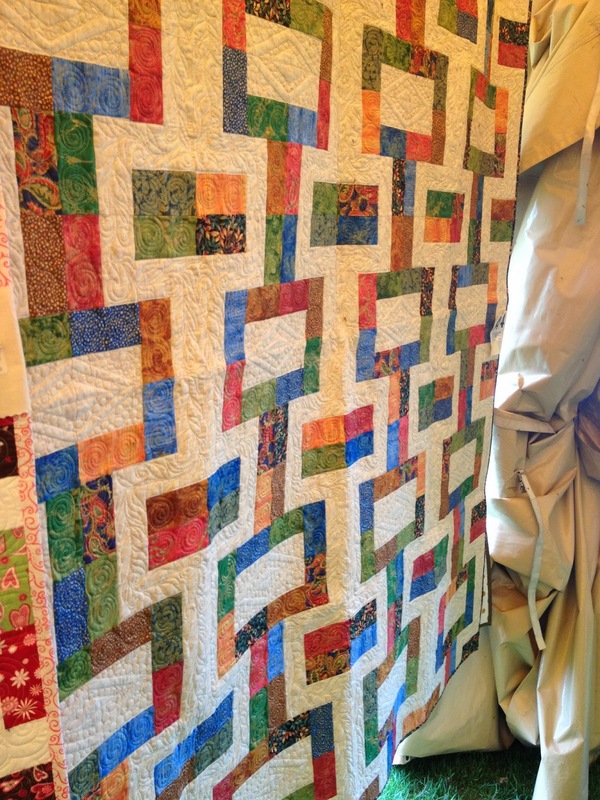 A super cute quilt by an incredible quilter - such a generous teacher to others! 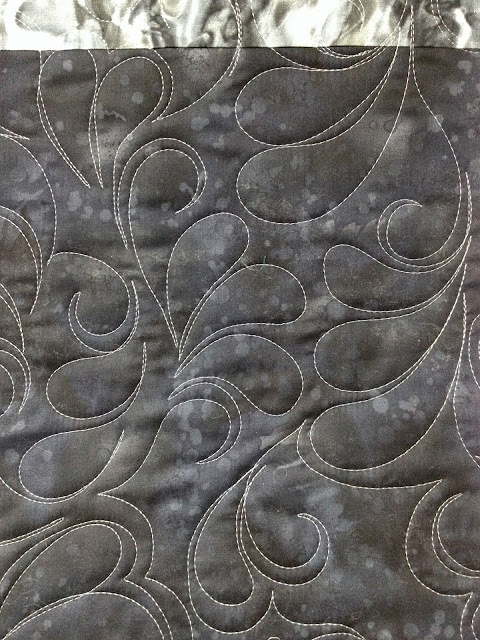 She took panels and cut them up, appliquéd them into this neat design. 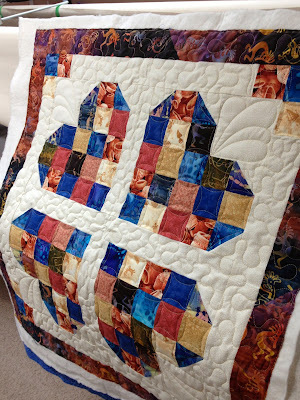 I quilted an overall 3's and e's loose, overall design. 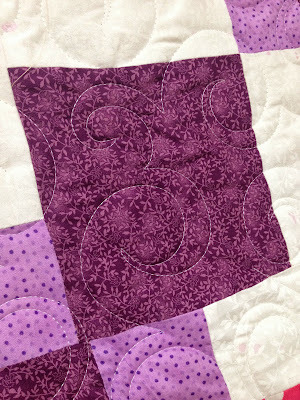 More 3's and e's.... 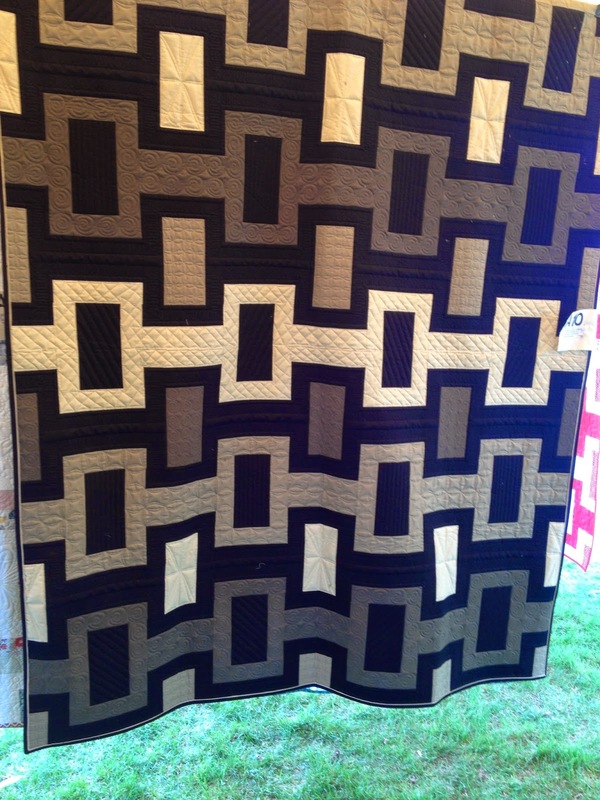 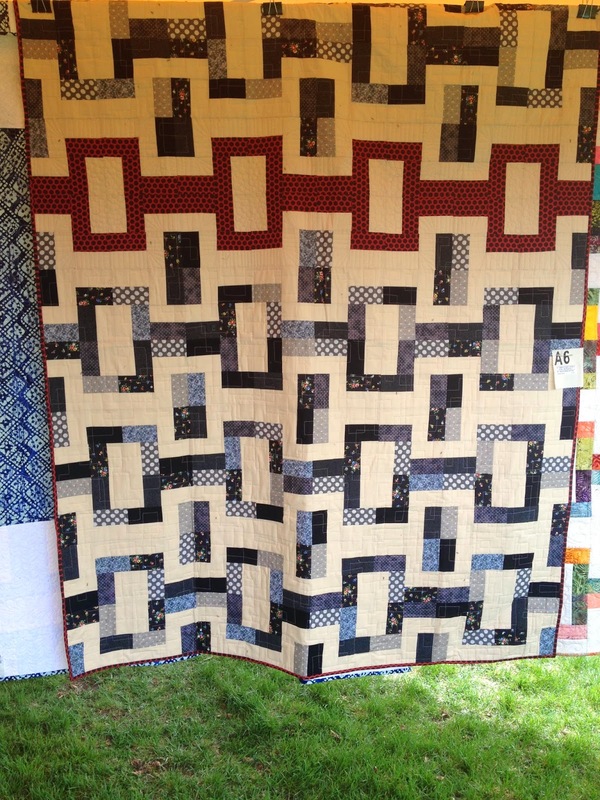 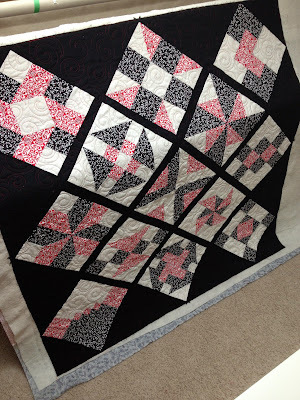 This black, white and red quilt was a stunner. 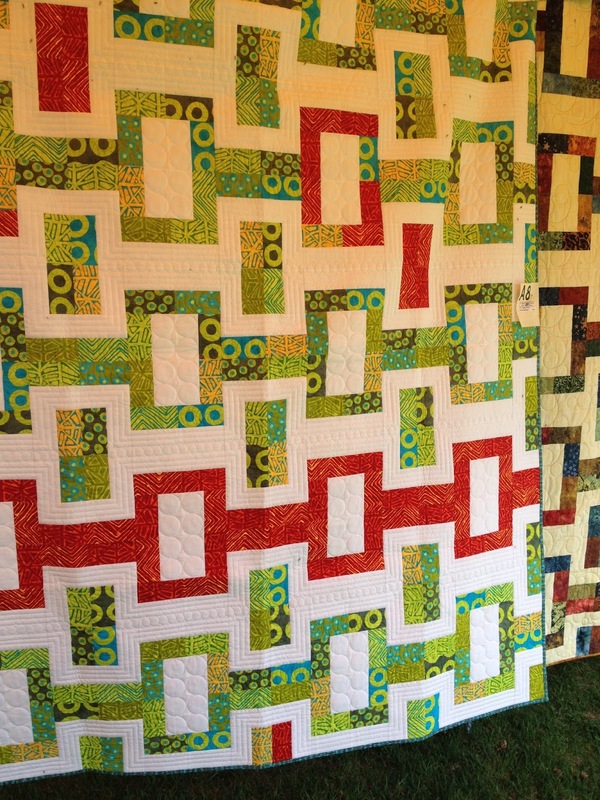 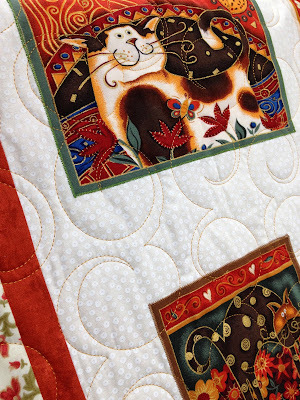 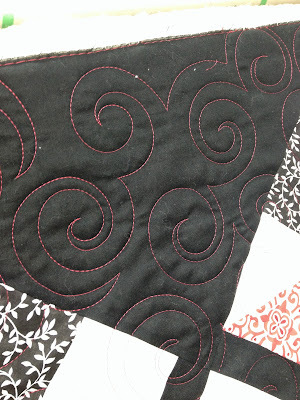 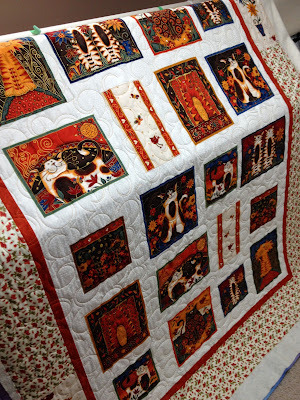 I loved the choice of red thread on this quilt! 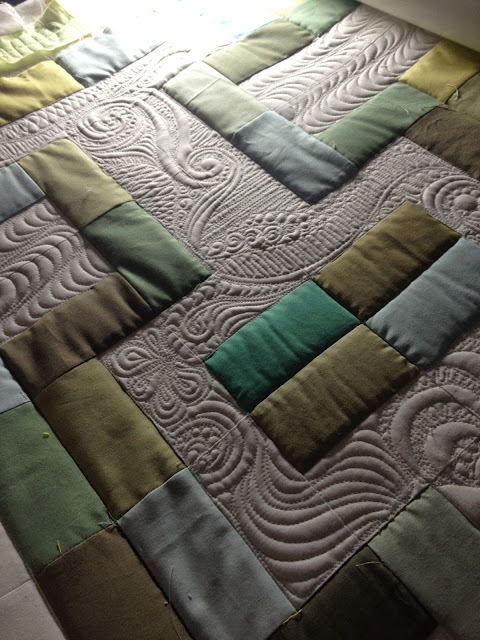 This is one of my first clients from last year, and she is still brings me quilts to work on. 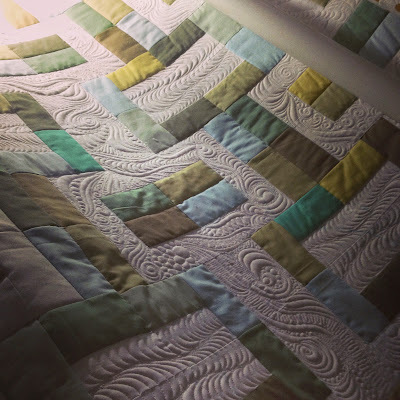 She is the one who gave me that confidence when I was a newbie...she said something about everyone being a beginner at first. 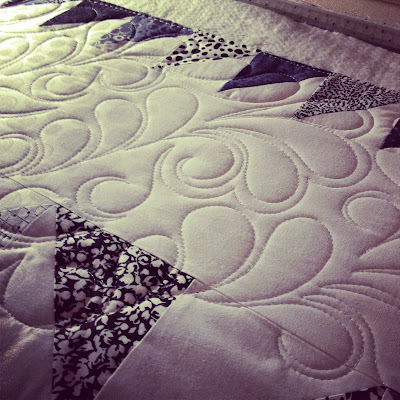 That has stuck with me.. I'm feeling nostalgic lately. 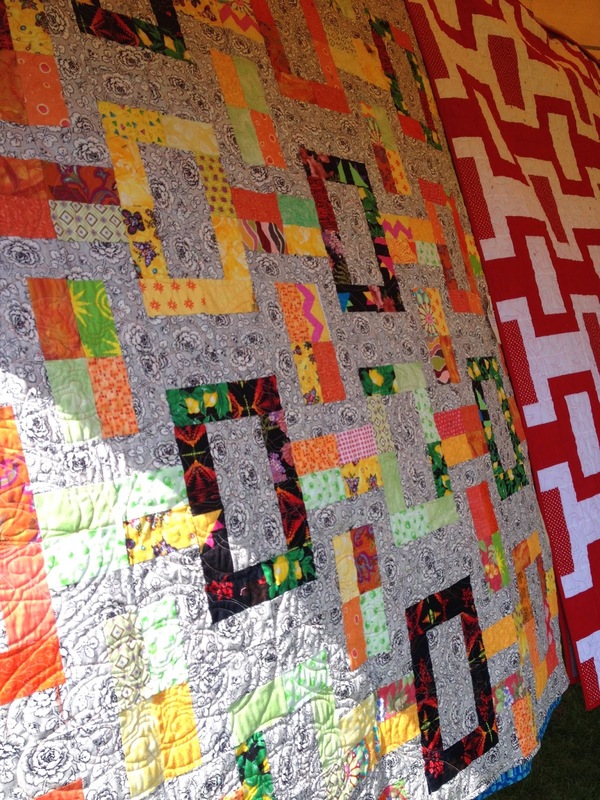 Feeling really good and grateful about things. 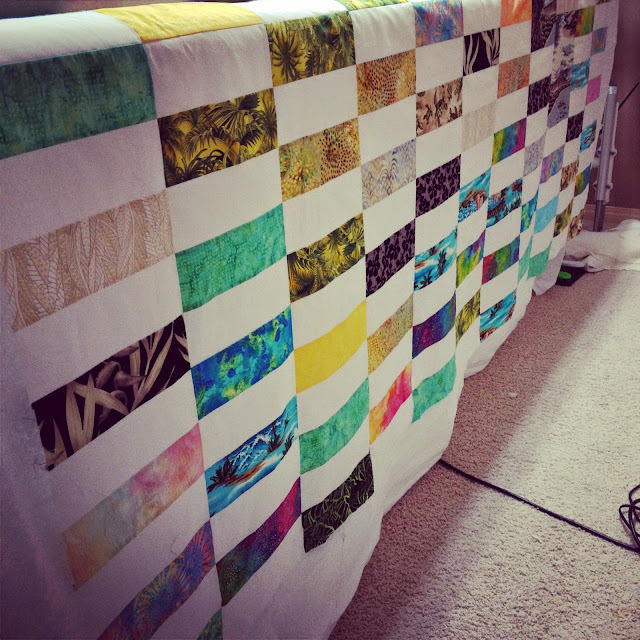 It's been just over a year now since I got my long arm quilting machine. 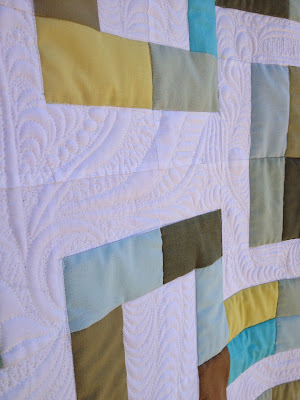 I think I need to work on a post about that! The good, the bad, the mistakes, the tragedies, the triumphs, the aches and pains! First off...I forgot to show off my backing fabric! 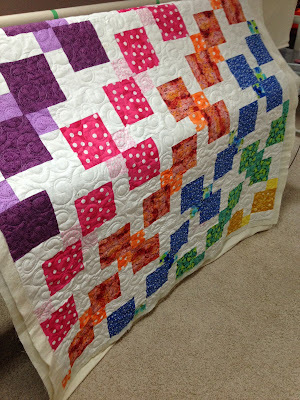 Dots! 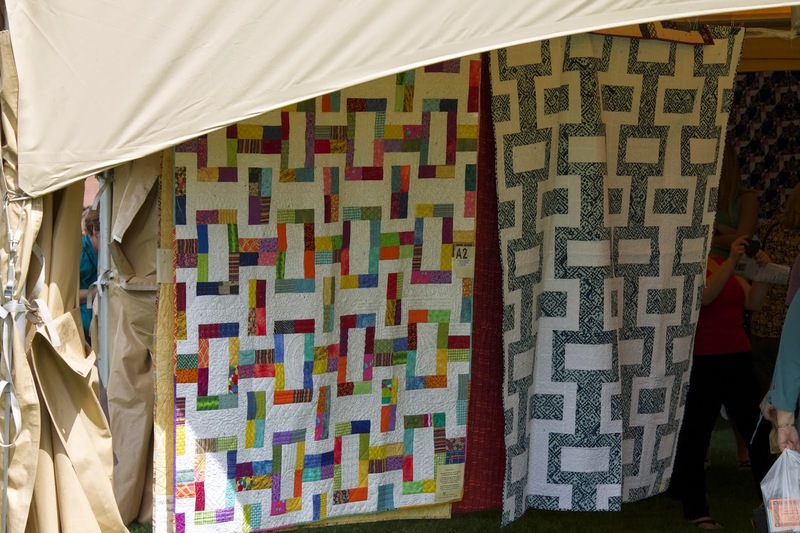 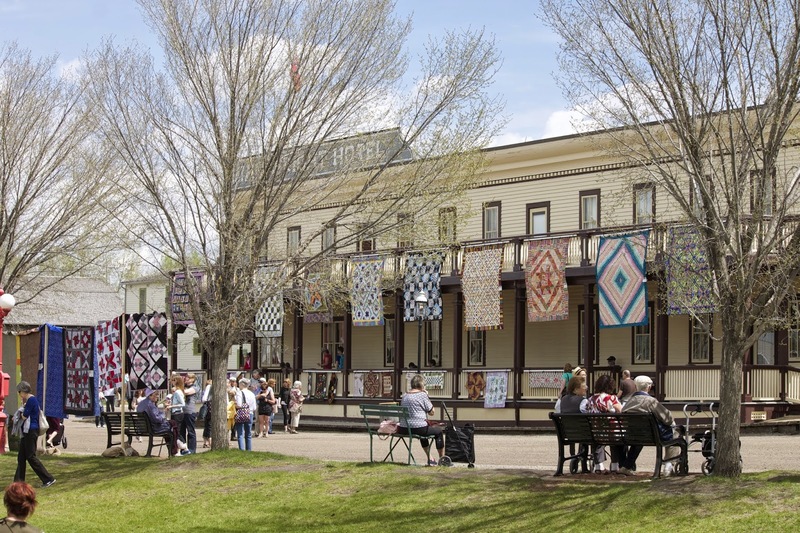 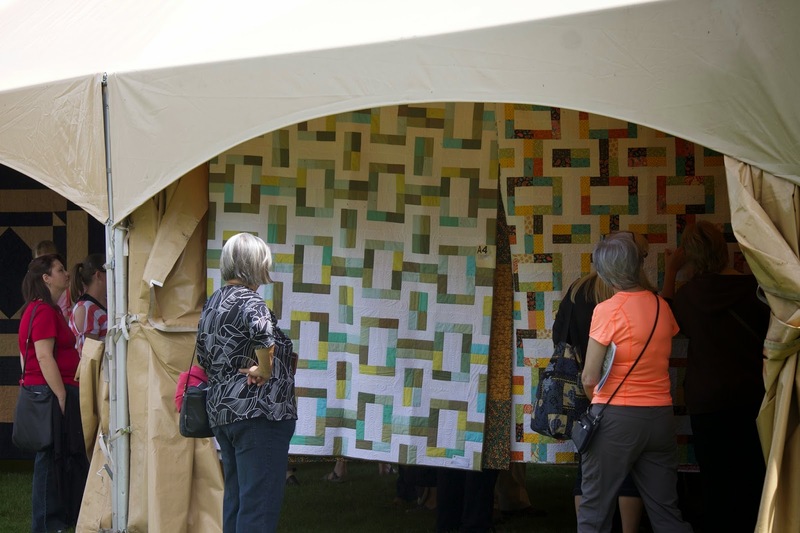 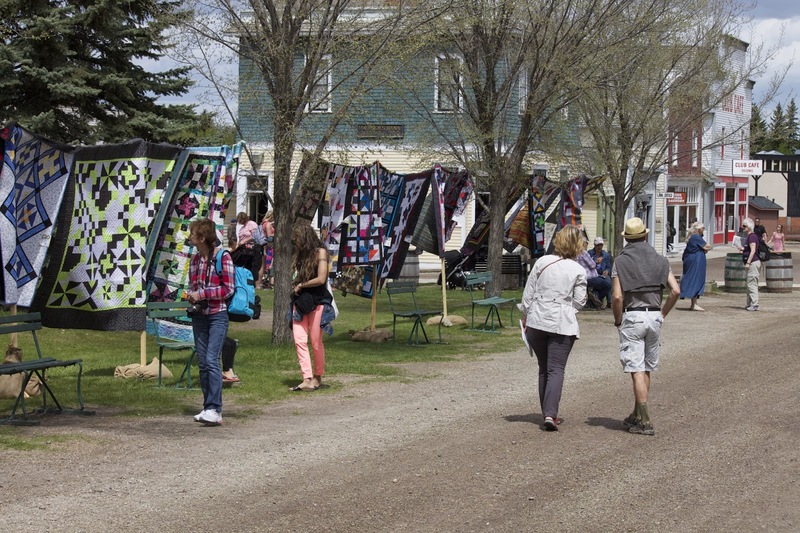 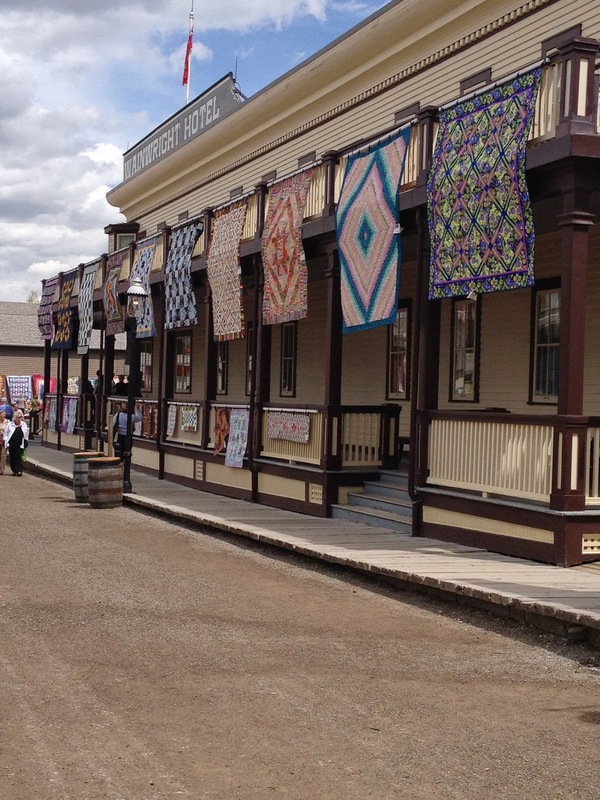 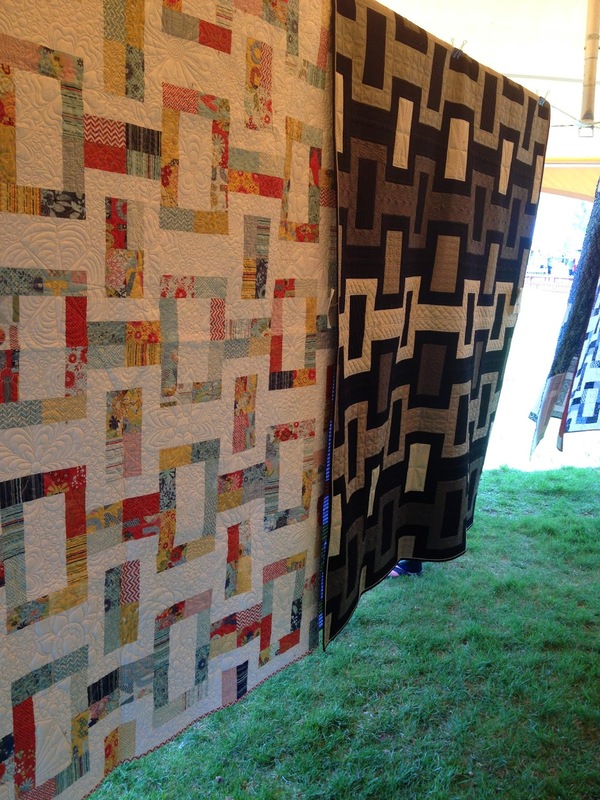 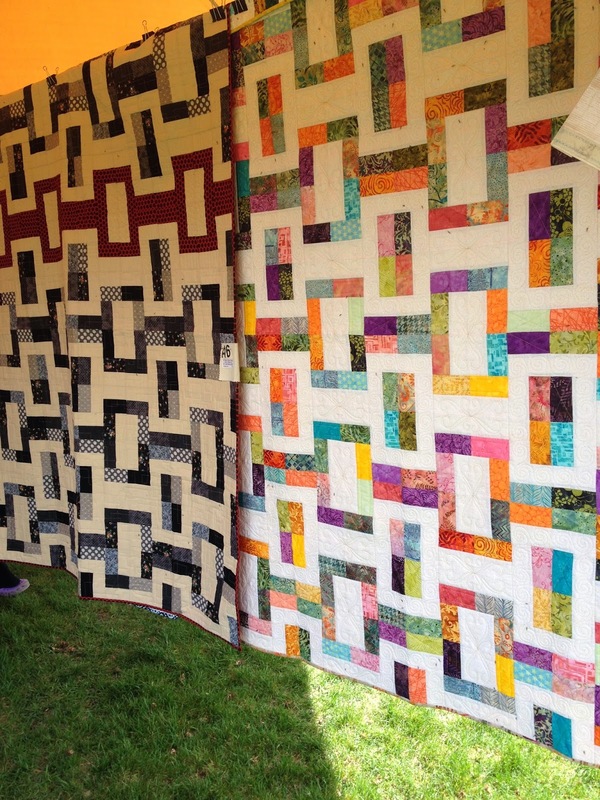 Heritage Park Festival of Quilts is held in May every year in Calgary. 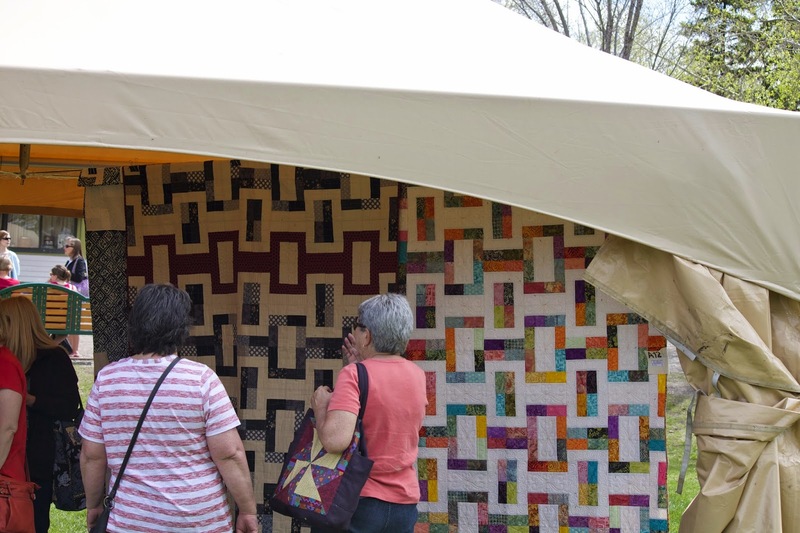 Today we had glorious quilt viewing weather! 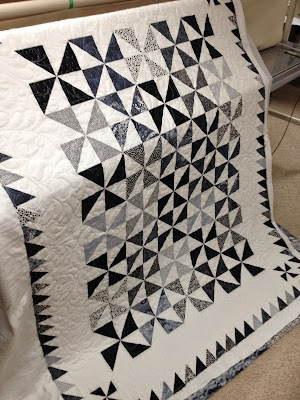 Look!! We found mine!!! 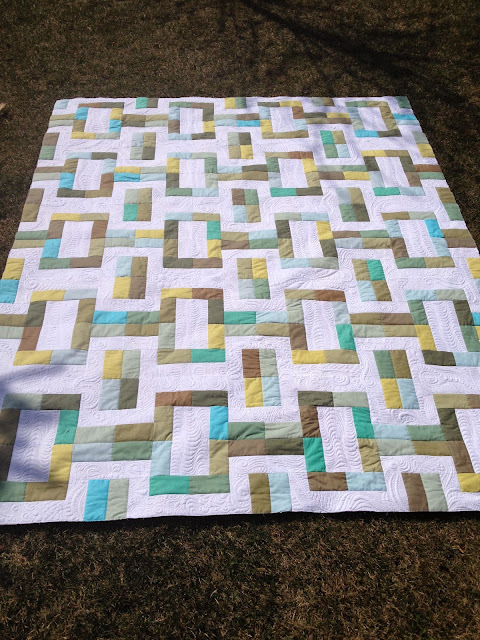 And all the other Avignon Picnic offspring! 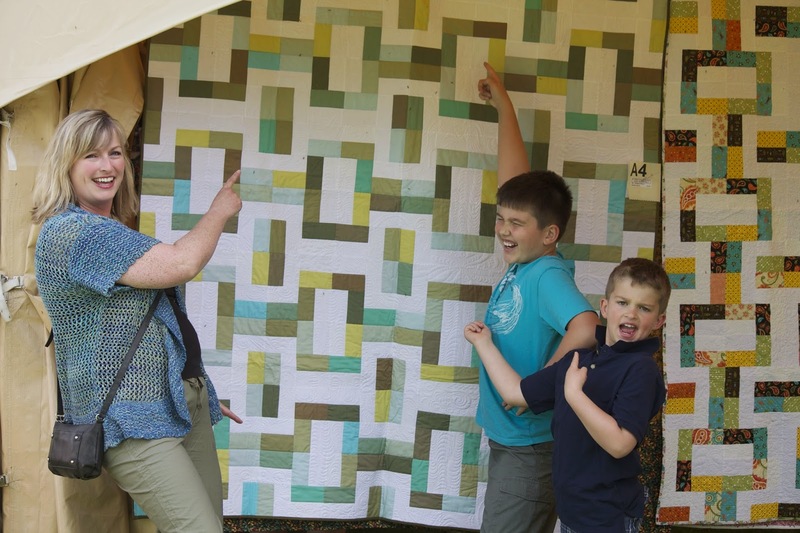 I will never take a serious shot in front of one of my quilts - I will always have fun with it! 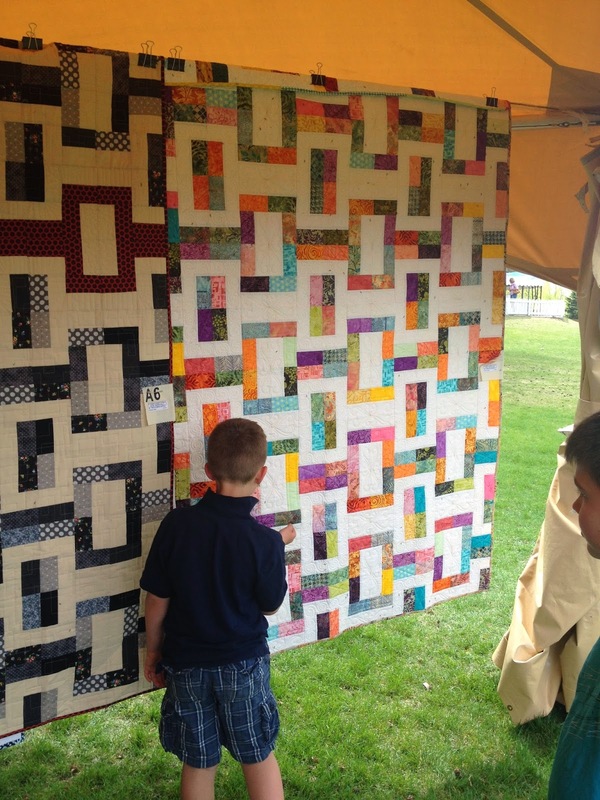 My boys were up for it too! 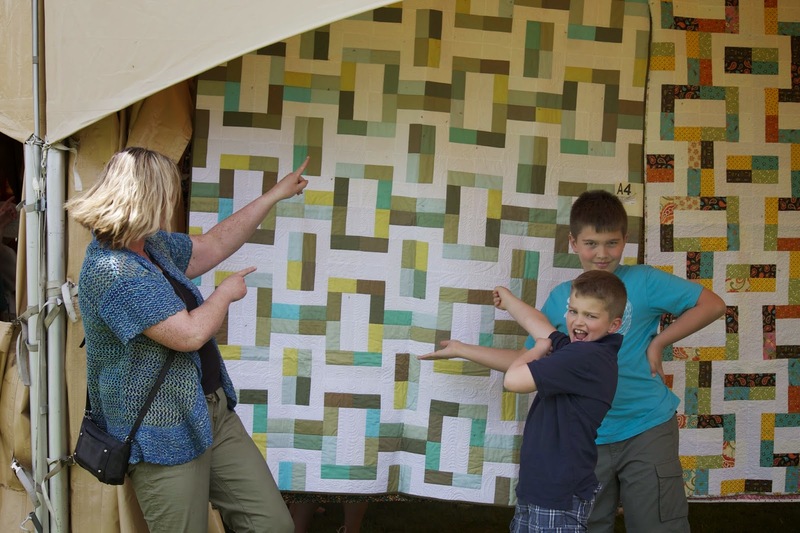 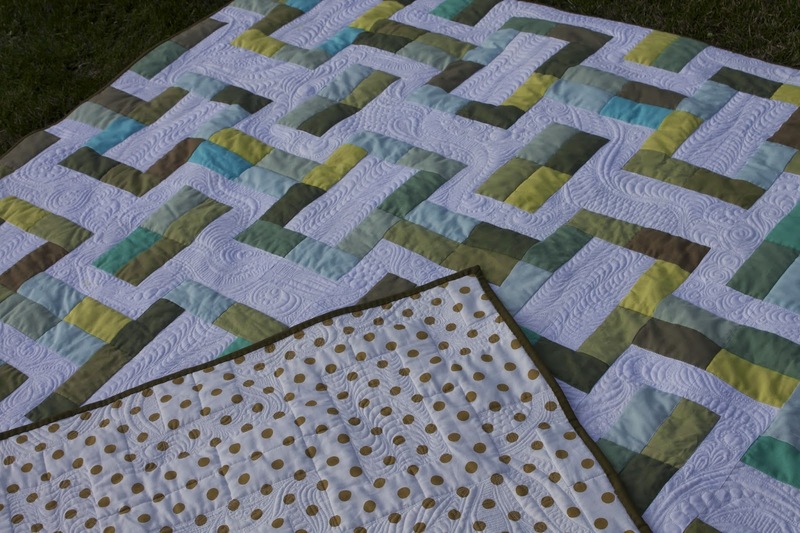 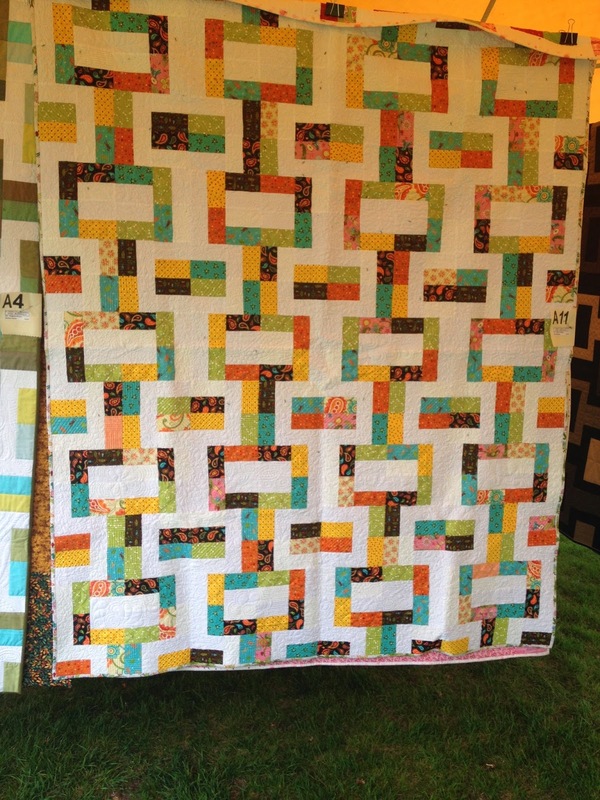 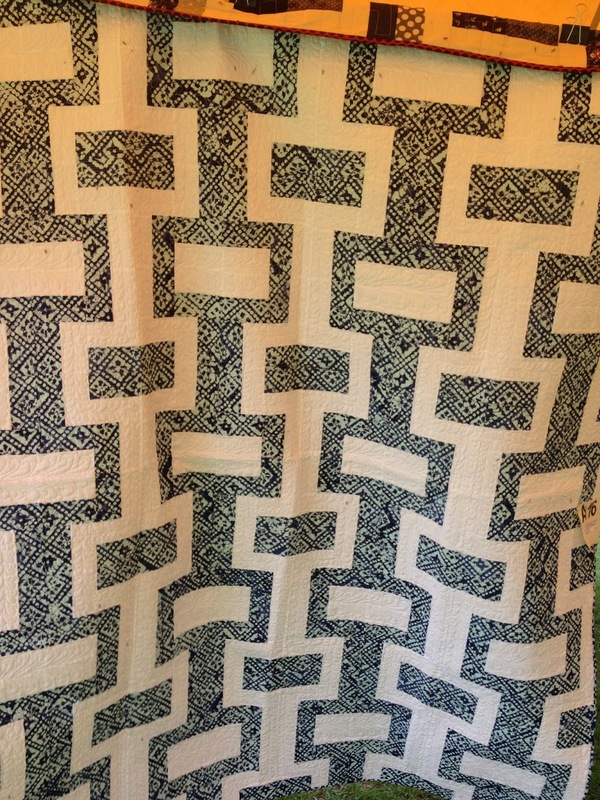 Here are photos of all the offspring produced by Avignon Picnic quilt pattern. 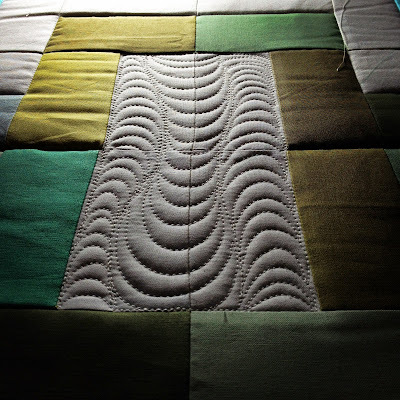 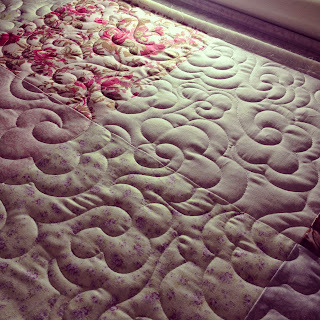 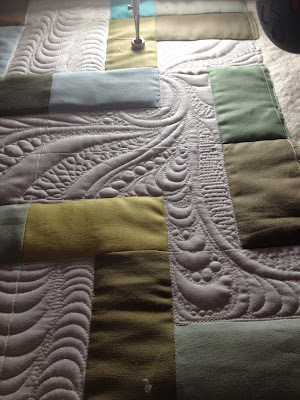 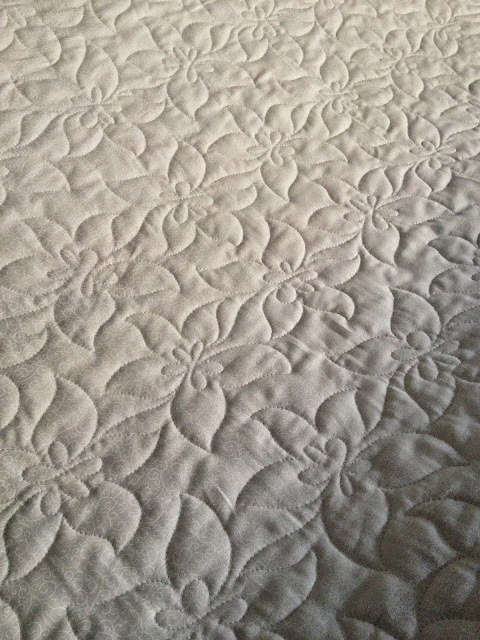 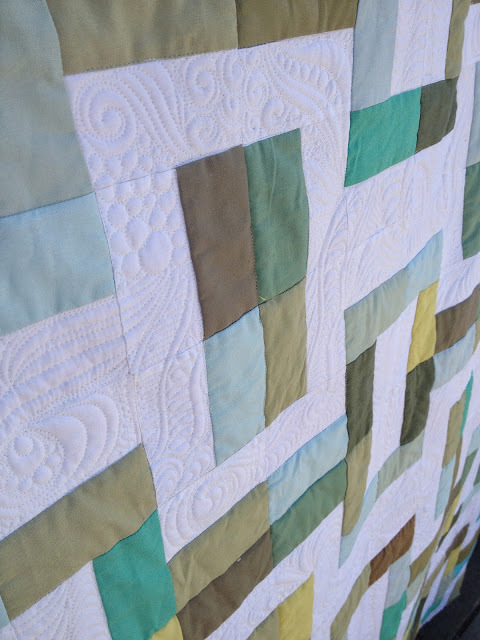 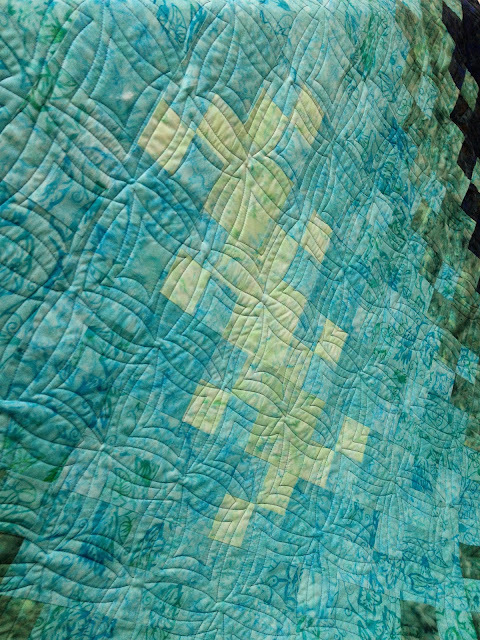 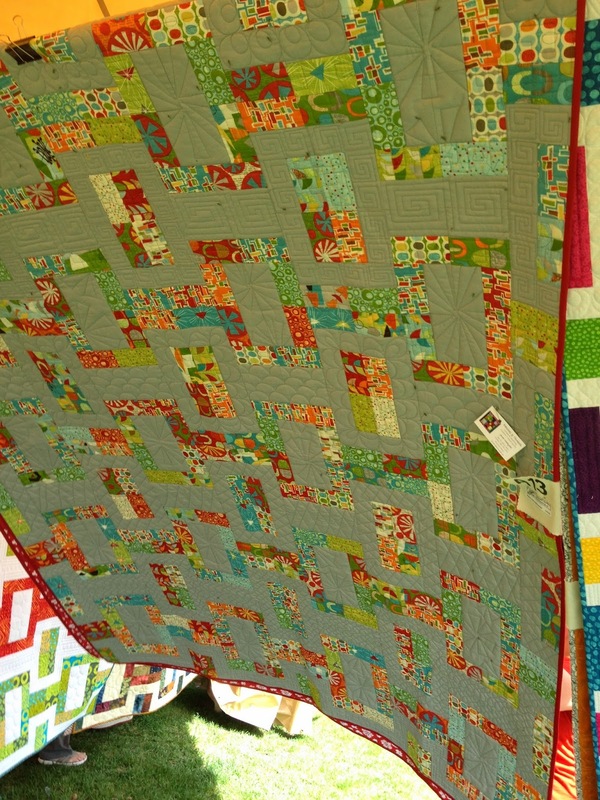 I did not take photos up close of the quilting, I was a little unsure if I was allowed to do that! 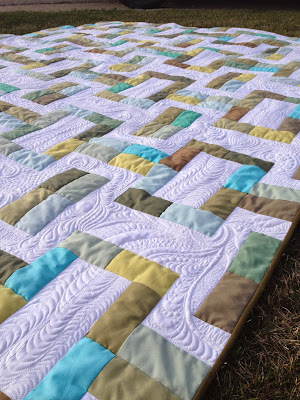 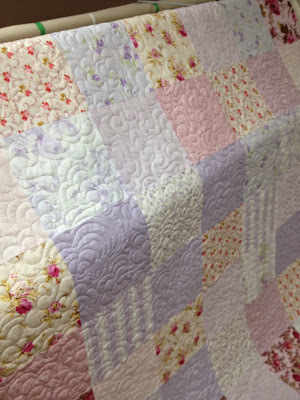 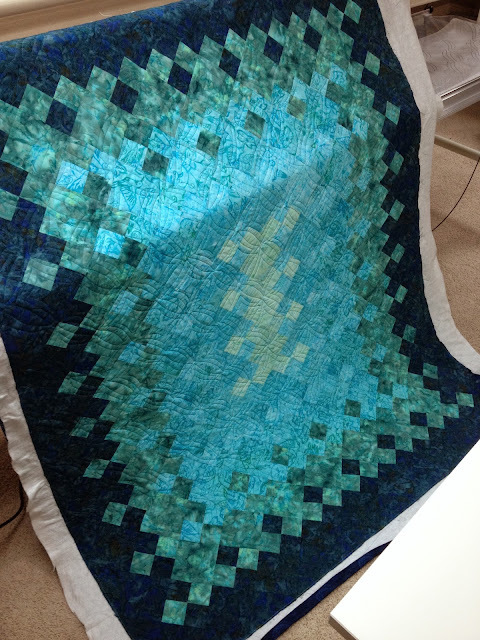 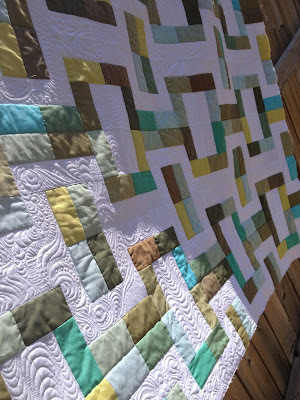 Isn't it amazing how different colour placements, background changes - make the quilt so different! I have a few favourites here. 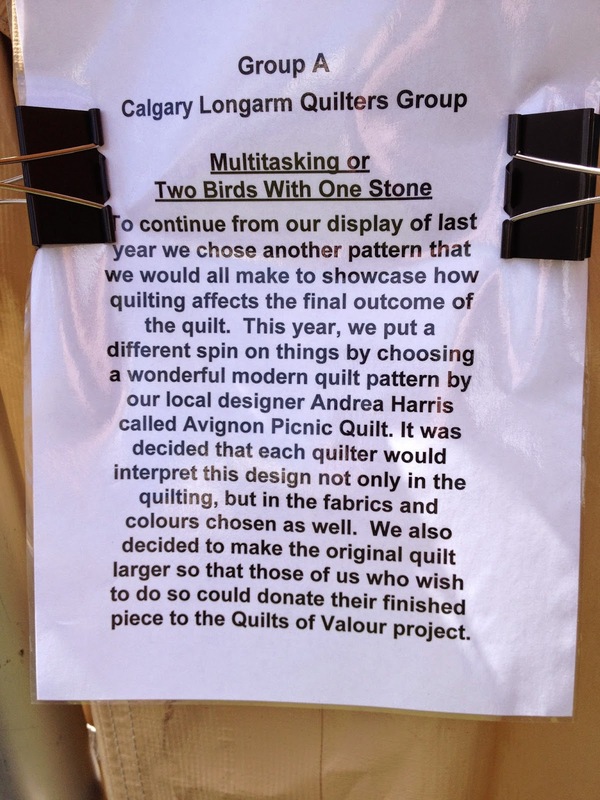 I am so proud of how the group did!